What makes Vienna the smartest city of them all? "Every city chooses its own definition of a smart city." 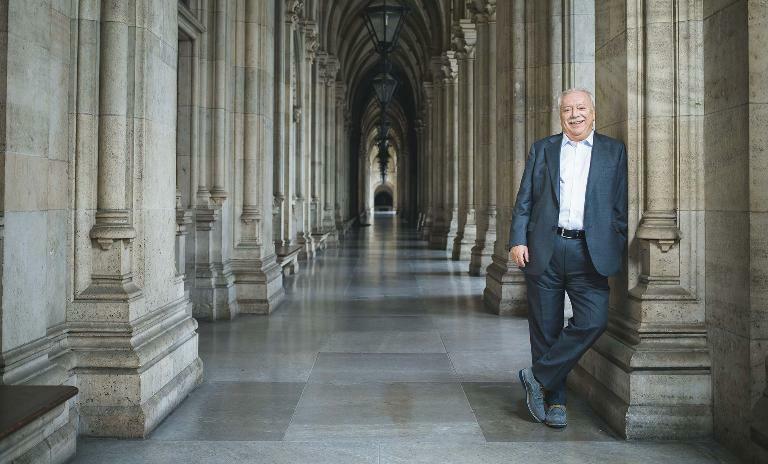 Vienna Mayor Michael Häupl explains how the Austrian capital is uniting players from across municipal areas with a holistic approach called Smart City Wien. The goal? To raise the quality of life for Vienna's citizens through sustainable, innovative action. "Smartening up" an established urban area poses more than a few problems, but Vienna is up for the challenge. Michael Häupl has been Mayor of Vienna since 1994 and involved in city politics since the 1980s. When you set out on the Smart City Wien strategy in 2011, what was your vision? Even before the term "smart city" came up we had already accomplished a lot in urban development, housing construction, transport, environmental protection, supply, disposal and much more. That was our starting point. But first of all, we had to be better and more ambitious in many areas. Secondly, we had to be flexible, yet still know where we wanted to go. The Smart City Wien framework is a long-term umbrella strategy for 2050. The vision is that Vienna will significantly reduce the amount of resources the city consumes while maintaining social cohesion and continuing to offer a very high quality of life to all its inhabitants. How has becoming a smart city changed the lives of Vienna's citizens? The Viennese can rely on the fact that the city administration is focusing on social aspects and also on involving the population. We work together with all stakeholders to ensure that the excellent quality of life in our city is maintained at the highest level for everyone – no one should be left behind. We must try to promote a gentle yet effective transition to renewable energies, advance public transport and maintain sufficient green spaces in the city so that everyone who lives here can continue to feel comfortable in our city. What have been the biggest challenges in the introduction of smart solutions to an existing infrastructure, and how have you overcome them? We live in the age of the Fourth Industrial Revolution. New innovations are launched nearly every day to simplify urban life. In Vienna, we have a highly reliable infrastructure. But we also want to improve it and ensure that we maintain its existing quality while keeping up with the times and allowing for the best quality of life in the future as well. This, of course, takes a lot of effort. How important is cooperating with private-sector partners in providing smart services? What is the best way to manage these relationships? Strong cooperation determines the success of the Smart City Wien initiative. It makes planning even more ambitious and inspiring. The framework strategy runs up until the year 2050 because the changes in the energy, mobility and building sectors cannot be achieved overnight. We're paying particular attention to working with companies and enterprises from Vienna as well as business partners, research institutions, science and other fields. This is an overall strategy operating under the theme: "Find clever solutions to complicated problems." How have you involved Viennese citizens in the process of choosing and developing these smart projects? A smart city gives its citizens the opportunity to participate in planning processes and improvements. This cannot, of course, be the case for all projects, which is why we want to consider all interests in the planning processes. However, our main concern is that no one should be left behind. There is a risk of keeping disadvantaged groups out of these processes. To avoid this, we offer both online and offline participation. For example, citizens can now send complaints or requests to the city administration quickly, intuitively and without mandatory registration using a new app called "Sag's Wien." It was developed through an open, online and offline process with the population. Cities produce immense amounts of data and many smart solutions are built on capturing and using that data. How do you deal with concerns about privacy? This is a very important issue in all our projects. Data protection and data security have become increasingly important in our information society, in particular for the administration and public trust in our services. Every person has the right to keep their personal data secret. Also, personal data may not be collected or passed on without a sufficient statutory basis. We take this topic very seriously in the development of all our services and projects where we apply new possibilities and technologies. What advice would you give to a similar city starting out on this journey? Every city chooses its own definition of a smart city and defines its own priorities in solving the problems. The diversity and uniqueness of every city is a great asset and may lead to very different approaches to the subject of the "smart city." From my point of view, the strong cooperation and involvement of all stakeholders is crucial for implementing such a strategy. This requires more effort and time in the beginning, but is worth it many times over during the process of implementation. 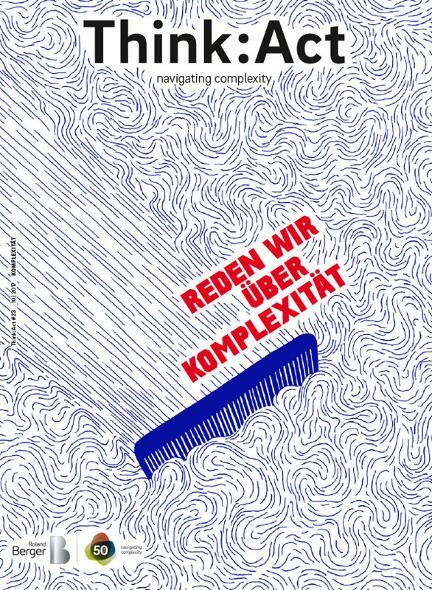 Interview conducted by Janet Anderson for our Think:Act magazine "We need to talk about complexity."